Head over to check out these MUK LUKS Women’s Verna Boots on sale for $39.99 Shipped (Retail $115)! Adventure on with MUK LUKS® Verna Boots! Cute enough for family photos yet tough enough for a trail hike, the Verna boot is a cold weather must. 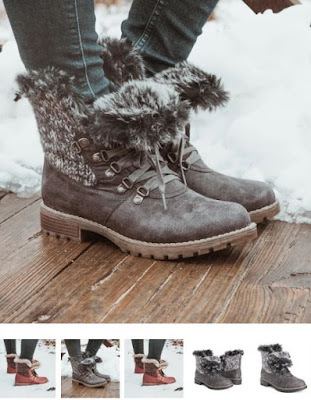 Cozy faux fur and pretty marled knit soften this faux leather boot in a classic lace-up shape.